Hey friends, do us a little favour. Click on link below and scroll down to help Rowan Garel become the Caribbean Tourism Organisation Youth Ambassador. 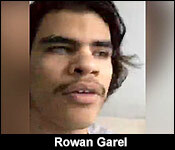 Who is Rowan Garel? 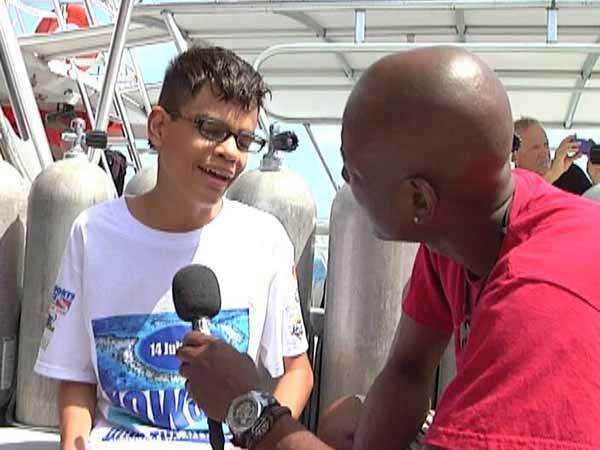 Well he's a Belizean who had crossed more things off his bucket list by the age of 15 than most of us will do in a lifetime. 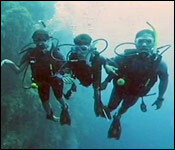 Things like climbing Victoria's Peak (Belize highest summit) and diving the Great Blue Hole. He also walked across the country to raise money for charity. Oh, did I mention he was born blind? I don't need to appeal to my fellow Belizeans. We are all in awe of this amazing young man. But Belize is one of the smallest countries in the Caribbean and that puts Rowan at a disadvantage when it comes to getting votes. So I am asking you, my friends in Belgium, USA, and elsewhere to take 30 seconds to click the link, scroll down to Rowan's photo, and click on the heart shaped icon to vote. Rowan made it to the final round! You can vote for Ro to be the CTO's Caribbean Ambassador of the Year by following the link below. 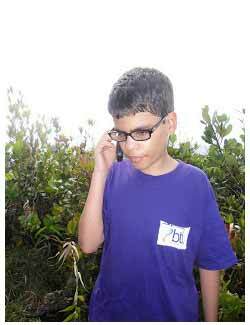 Rowan Garel became a household name when he was just a kid, climbing the Victoria Peak as a blind 12 year old. And that was just a start for the consistently impressive young man. And now he has a chance to be the Caribbean Adventure Ambassador. He has been nominated for that prestigious title and we spoke to him today via phone in New Jersey where he is attending university about this honour:.. In his short lifetime, he has accomplished more than most. He climbed Victoria's Peak, walked across Belize, dove the Blue hole and those are just a few of his many accomplishments. But what makes these accomplishments even more impressive is the fact that he did these things without the ability to see. He is a champion advocate for the visually impaired and an inspiration to all. His hard work has been noticed by many not just in Belize but throughout the world. "It is always an honour being recognized for things because you know I may have done all these things and gotten other awards but it is still an honour knowing that I appreciate what I have done and still want to acknowledge it." "I mean at the end of the day the chips will fall where they may and I can't really do anything about it either way, but you know it is still really a very incredible feeling that I was at least nominated and we will see what happens." Rowan has never let his visual impairment stop him from doing anything. He goes to school, plays video games, and does regular everyday tasks. He admits that it is not always easy but in challenging times he turns to a quote that has always motivated him. "My motivation is you know the saying practice what you preach. That is really my motivation you know. I am here to prove that blind people and disabled people on a whole can be normal. We can do everything that anyone else does so that is what I need to do and I can just live a normal life. GO to school, take classes, and do everything." 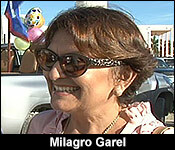 Garel has made it to the top five in the list of nominees and if you would like to vote for him you can find a link to the site at 7Newsbelize.com. The polls close on Sunday. Congratulations to Rowan Garel of Belize for winning the title of Caribbean Adventure Ambassador of the Year for 2017 with 1,975 votes! Rowan Garel was born blind but that adversity has not been an obstacle in his life, much less hindering him from undertaking extraordinary feats. 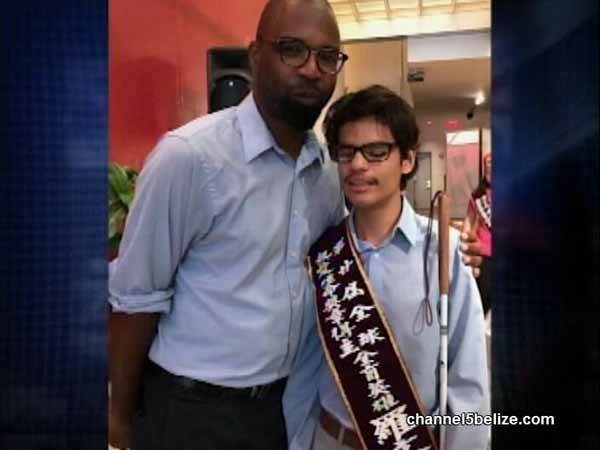 He is the only visually impaired person to ever climb Victoria Peak, Belize’s second highest mountain standing at over 3,000 ft. above sea level. 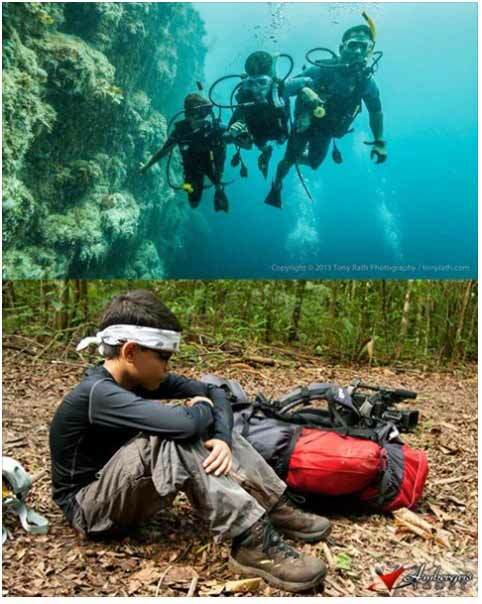 He trekked 74.7 miles from Belize’s western border to Belize City in five long, gruelling days under the sweltering sun and dived the Great Blue Hole of Belize, a world-class destination for recreational scuba divers which is 410 feet deep. By all paradigms, these are amazing and record-breaking achievements. However, far from seeking popularity, Rowan has undertaken these formidable tasks propelled only by his passion to serve and raise funds for needy children in Belize. 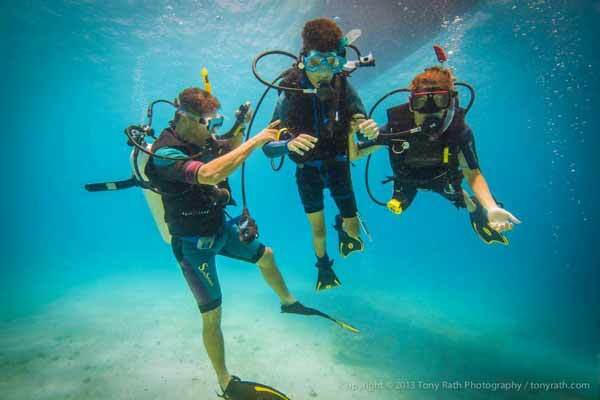 His efforts have been exclusively for an exceptional cause and his fervidness for exploring the natural beauty of Belize and its many adventures. 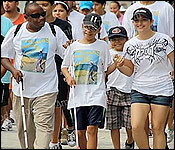 His efforts have been dedicated exclusively to raising funds for the Belize Council for Visually Impaired (BCVI). This has not only increased public awareness of the services offered by BCVI, but the organization has also been able to expand its services to visually impaired people throughout the country of Belize. We also congratulate our other contestants; Jake Kelsick of Antigua & Barbuda (1, 471 votes), Jeremie Tronet of St Vincent & the Grenadines (896 votes), Courtenay Bushman Rooks of Trinidad & Tobago (542 votes), and Mario Rigby of Turks & Caicos Islands (387 votes) who made it to the top five! We love the work that you do and we hope that you will continue to spread the spirit of adventure throughout the Caribbean. 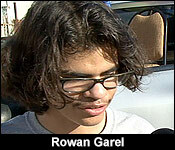 I am so pleased to see that Rowan Garel has been awarded this honor and title. It is well deserved. 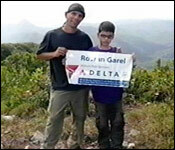 Rowan Garel is in Belize to celebrate his big win as this year's Caribbean Adventure Ambassador. He bested 4 other competitors with the most votes. 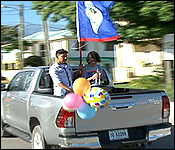 To welcome this regional champ home, his supporters organized a motorcade which started from the PGIA and moved into Belize City at the BCVI parking lot. Garel told us he was surprised to find out he would be the star of the parade. "It's really an honor being in this motorcaded, didn't expect anything like this when I got back." "Tell us about the award you won and how prestigious that title is." "Honestly I had no idea that it even happened. I heard about it from a from to this is very unexpected and I feel very privilege that I've won. I would just like to say thank you so much to everyone who has supported me, if you have voted or if you have just been following what I do and spreading the word to other people that you so much." "We are very excited to have everyone home of course as you can imagine and its very rewarding to have the support of so many people that voted. We didn't expect when we first heard about the competition. We really didn't expect Rowan to win at all but so we must say thank you to everyone who supported and pushed and has been here for Rowan all along because it's definitely a team effort." Rowan stays in Belize for 5 weeks and then returns to Drew University in New Jersey.